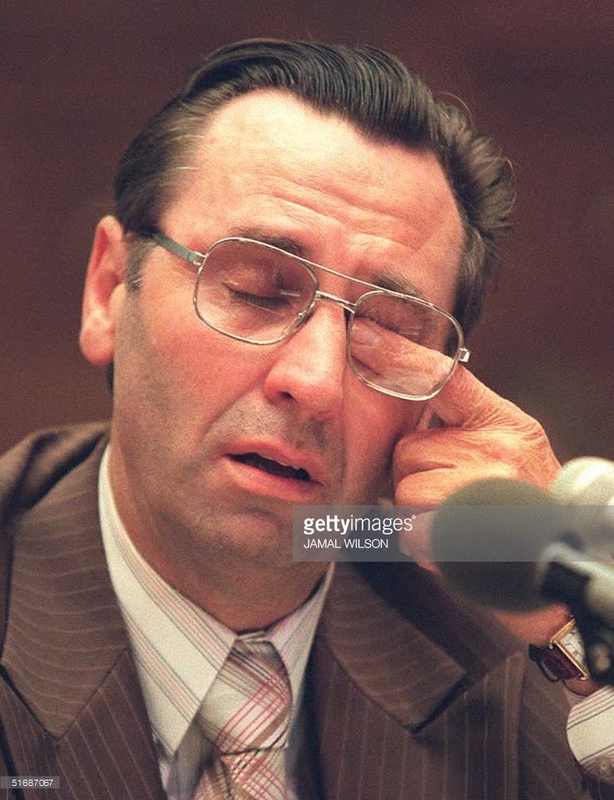 "Branch Davidian Clive Doyle wipes his eye as he testifies about the 1993 raid on the Branch Davidian compound in Waco, Texas during congressional hearings on Capitol Hill in Washington, DC 28 July. Doyle told lawmakers that members of the Bureau of Alcohol, Tobacco and Firearms(ATF) shot at unarmed Davidians and that after he escaped the burning building an FBI agent threatened him. AFP PHOTO (Photo credit should read JAMAL WILSON/AFP/Getty Images)"
Clive Doyle is one of the nine people whom the Department of Justice identifies as a survivor of the inferno at the Mt. Carmel Center on April 19, 1993. In July, 1995, Waco Remembrance co-ordinator Carol A. Valentine interviewed Clive Doyle concerning the fate of the mothers and children. Clive said that he had not seen the mothers and children on April 19, and in fact did not know their whereabouts. He said that he did see Cyrus Koresh, 8, on April 18; Clive had been sick that day, Cyrus had visited him in his room, and Clive had given Cyrus a kaleidoscope.